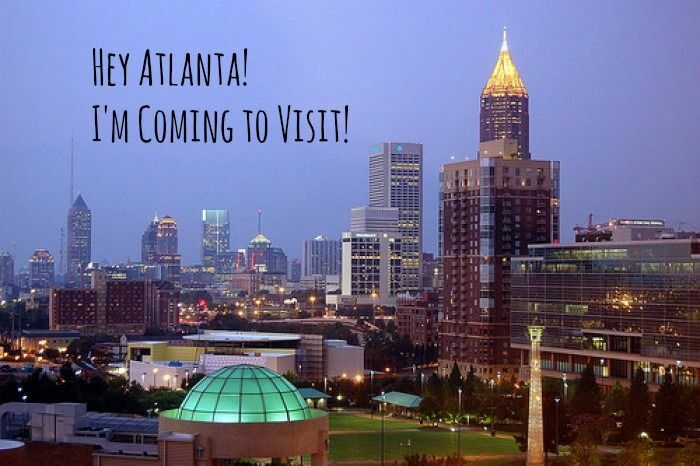 Later this week I will be flying down to Atlanta for four days to attend an awesome convention with Rodan + Fields. While yes, my schedule will be pretty packed, I will still have a few hours at night to have some fun. The only time I've ever been to Atlanta was on a school trip when I was in the 9th grade, therefore I definitely need some suggestions!!! I need your help! What do you like to do in Atlanta? Anything you would recommend that I check out? What about restaurants???? I'm looking for cool, non chain places somewhat near the Georgia World Congress Center/CNN Center. Can you recommend anything? I'm open to all types of food. Is there any cool shopping I should check out? Or something really neat to see? I would love your recommendations. So let me know! You can comment below, e-mail me at lindsay@pursuitofpink.com or tweet at me (@lindsaytolar). I can't wait to hear what you have to say. I have never been to Atlanta. So I not sure what there is to do there. I hope you have an amazing time there. My grandparents are from Atlanta, so I spent many summers visiting their favorite spots. We always went to the CocaCola Museum & the Aquarium. Super fun! Our go to eats were The Varsity (world's largest drive-in), Gladys Knight's Chicken & Waffles, and Morelli's ice cream :) Now, I spend lots of time in Korea Town - yummy Korean food to fill your belly. Have lots of fun! I second The Varsity... Glady's Knight Chicken and Waffles and the CocoCola Museum, CNN Center and Olympic Park are pretty cool too! :) Have a BLAST! It's been a few years since I've been but I remember enjoying very much the CocoCola Museum and the Aquarium. Have fun!